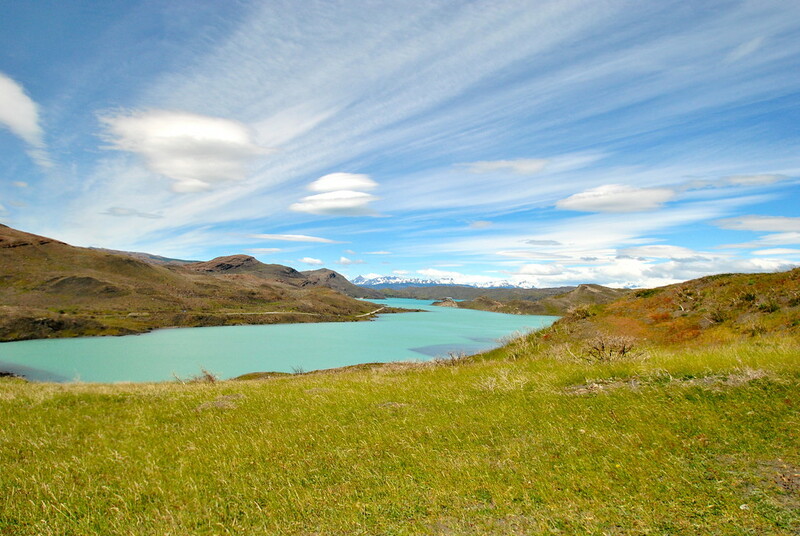 Excellent ONE DAY Torres del Paine tour, by BUS! 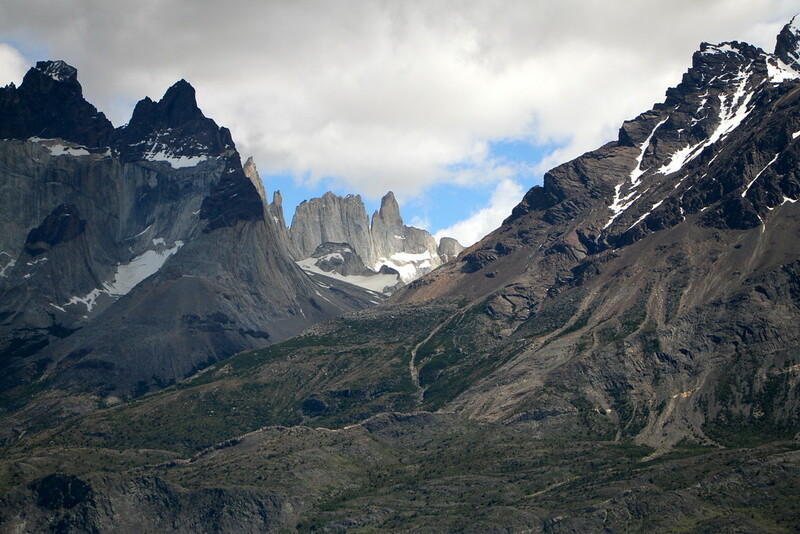 If you’re looking for a Torres del Paine tour (without any trekking), then you’ve come to the right place! After our 4 day trip on a ferry through the Chilean fjords, we arrived at our next destination of Puerto Natales! Being the closest town to Torres del Paine national park, Puerto Natales is a great launchpad for taking a Torres Del Paine tour! We’ve been to some incredible national parks in our time, from our Sapa trekking experience in Vietnam, to our epic volcanic Rinjani trekking adventure in Indonesia, so we were very excited to explore Torres del Paine! Luckily we’d had a few days to recover from our climb up the Villaricca volcano in Pucon. We’d thought about taking on the challenge of the famous ‘W’ trek, or at least part of it, but with a relatively bleak weather forecast and no availability at the ‘refugios’ we resorted to plan B – a one day tour of all the main sites by bus, and a full day’s trek to Torres base lookout, known to the locals as the ‘massives’. 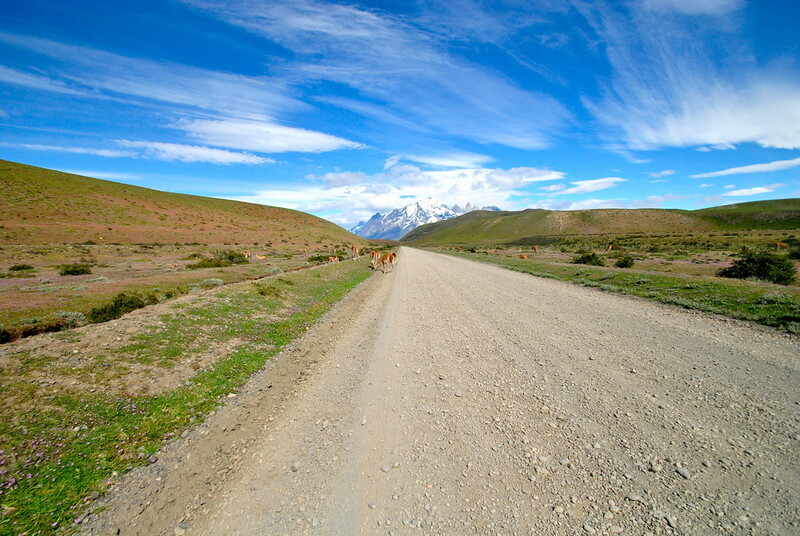 Torres Del Paine Tour, By Bus! After an early start and 7.30am pick up we began our Torres del Paine tour! First up, after a couple of hours driving, we caught the first glimpse of the stunning massives of Torres del Paine in the distance! As you can see, the roads were mostly gravel, but we felt comfortable in our bus for the day. 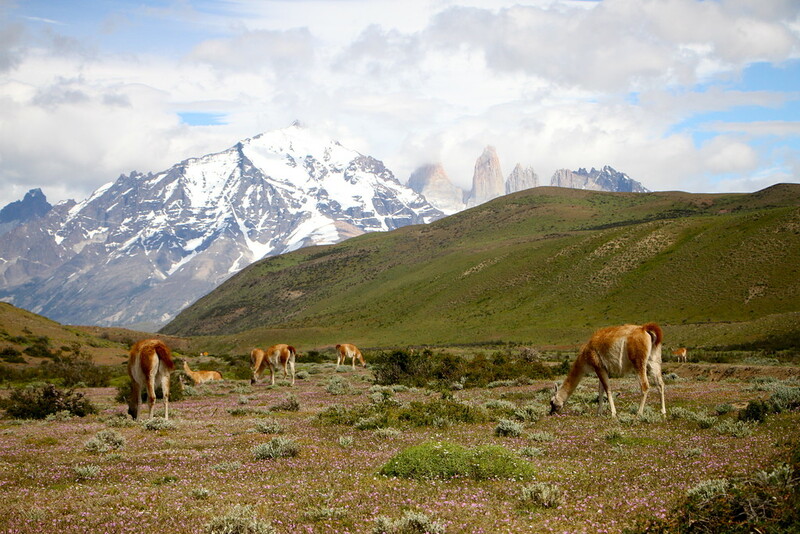 As we progressed, our driver provided us with info and commentary on the things we could see, including this group of guanacos that stood between us and the ‘massives’! With some care, we negotiated through this group and made our way towards our next stop. After a while, we reached the beautiful Laguna Amarga, and stood on the shore, marvelling at the towers reflecting in the lagoon. This was a really impressive part of the day, the water was perfectly still, resulting in these wonderful reflections in the water! 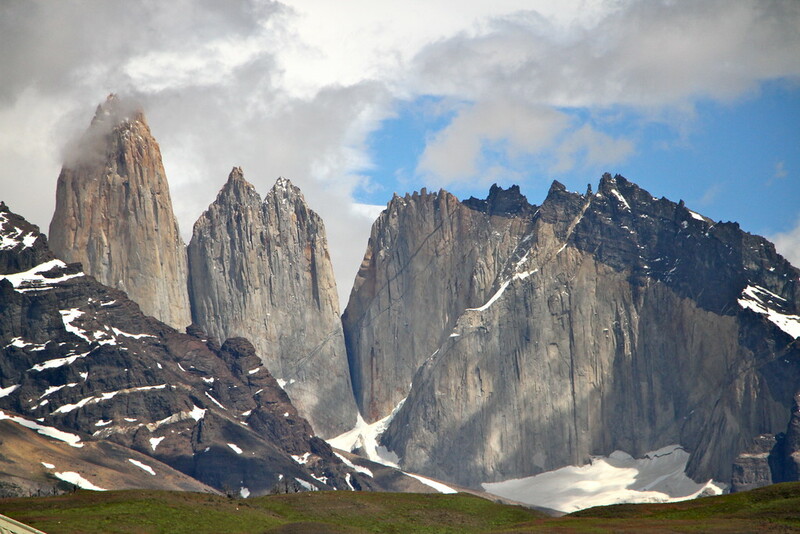 After Laguna Amarga, we made our way around the mighty towers to Lago Nordenkjold for an alternative, incredible view of the towers nestled between other towering peaks. This was probably our favourite view of the towers, as they poked out deep within the valley in front of us. After Lago Nordenkjold, we visited the salta grande, a breathtaking emerald green, lake, river and waterfall which was incredible! The noise and colour was absolutely mesmerising! 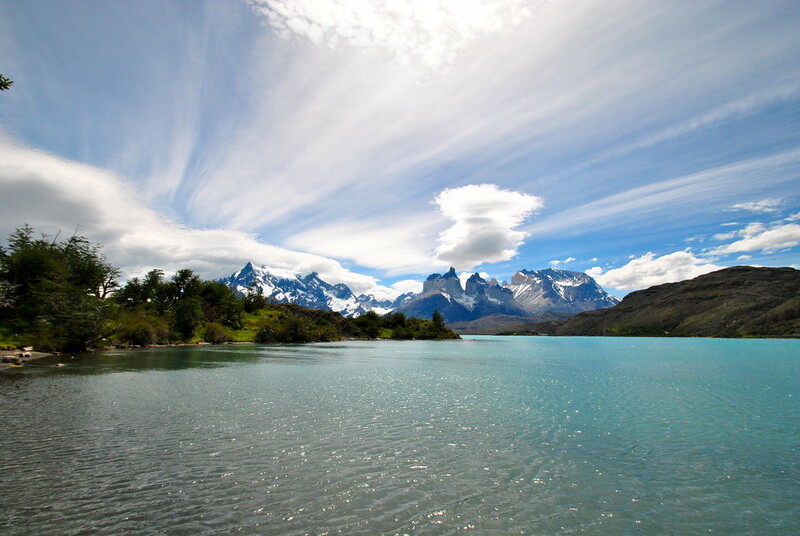 For lunch, we stopped on the shores of Lago Pehoe, a beautiful place to sit and admire on our Torres del Paine tour. As you can see from our photos, we were incredibly lucky with the weather on our tour! Our final stop of the day was the huge Lago Grey. At the end of the lake is a glacier, and we sat and watched as large chunks of ice broke off and floated around the lake, a perfect way to end our Torres del Paine tour! 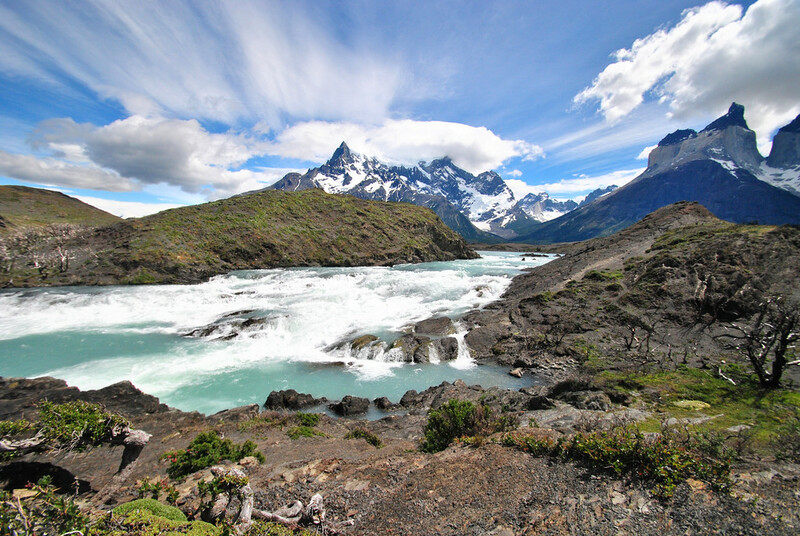 Thankfully, you’re spoilt for choice when it comes to Torres del Paine tours, given the popularity of the national park! And the good news is you can book in advance, online, to guarantee your tour! 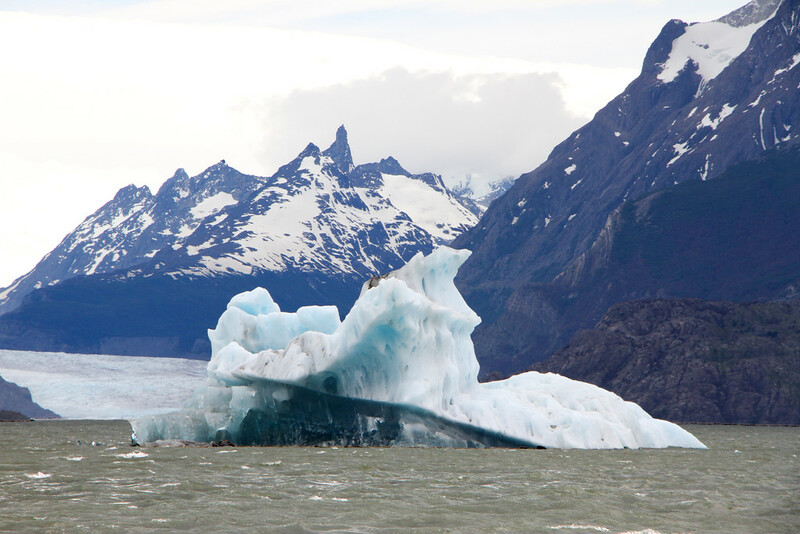 Our advice would be to check the latest reviews and tour options in Torres del Paine, and book in advance! You can also book when you arrive through your guesthouse, but we personally recommend you do your research in advance! Looking for more Chile inspiration? Click here. The emerald green lake was just amazing and as Roz says, your photos on each post are just amazing. Makes you feel you are actually there – but from the comfort of my laptop!! Haha, thanks Sheila! It’s probably more comfortable looking from the laptop too ;0) those roads were bumpy! Hi, great pictures! I’m also curious about which tour company you used for the bus tour…I haven’t been able to find very many online. Thanks! It is very difficult to find a place to book the bus tour online, and we only managed to book it when we arrived. Unfortunately we don’t have the details of the company as we booked it through our hostel, so we would recommend contacting the Hospedaje de Maria (http://www.hospedaje-de-maria.hostel.com/index.php) as this is where we booked the bus through! Good luck, it’s an incredible day! Stunning photos guys. 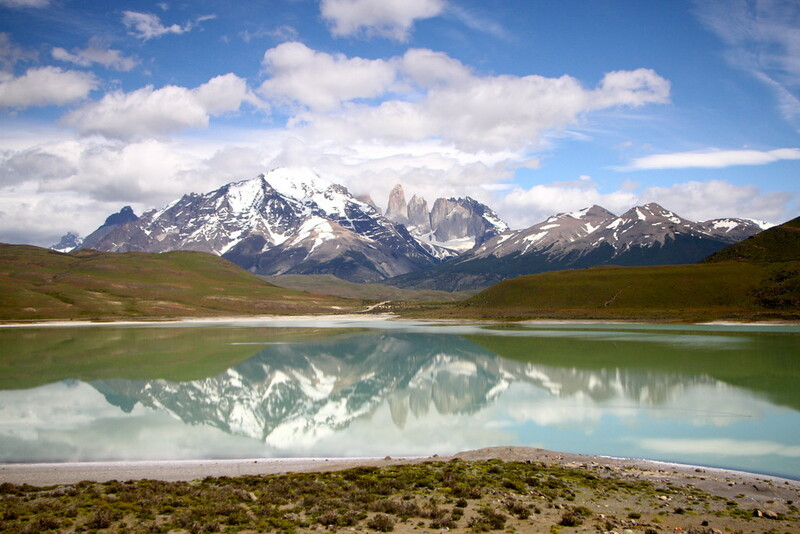 We’ve both been umm-ing and ahh-ing over what to do about hiking Torres Del Paine. Neither of us are keen on the 4-day hike but we want to see some gorgeous scenery – thanks for making us aware of this tour option. It looks like it might be a happy middle road for us! How much was it roughly per person and would you recommend the company you went with? Hi Andrew & Emily! It was such a long time ago now we don’t have a note of the price sorry, and we only booked directly with our guesthouse so we would recommend contacting your accommodation to see if they offer something similar!